NEW Revised Edition September 2009 – ISBN 0143202685. This edition is much improved and considerably expanded. Size: 215mm x 135mm. 352 pp total. Black and white photographs. Line art maps. 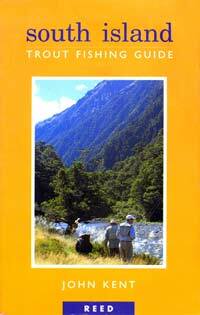 2002 and 2009 Edition John Kent’s South Island Trout Fishing Guide is a comprehensive guide to the South Island’s incomparable trout fishing waters. More than 400 rivers and 150 lakes are described, along with their location, access, fishing season and appropriate techniques and flies. 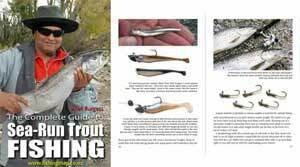 This book will be of special interest to anglers who enjoy the challenge of exploring and fishing new water. 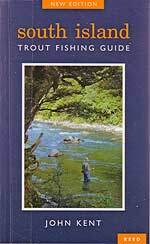 The author has revised and updated this edition of the South Island Trout Fishing Guide to include additional rivers and all new photographs. 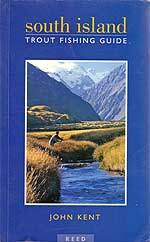 “The South Island’s wide diversity in landforms and climate is reflected in its waterways. There are sluggish, rain and swamp-fed streams meandering across farmland, clear rushing mountain torrents shaded by dense native bush, unstable glacier-fed rivers, cold spring streams and natural and artificial lakes. 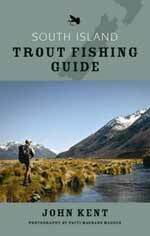 Yet nearly all these waterways contain trout, and with the many rivers and lakes exhibiting such widely differing characteristics, the South Island is truly an angler’s paradise.